Currently, airline pilots spend six to nine months completing theoretical training (also known as ground school) before moving onto practical training in the simulator and on an aircraft. Airline pilots will then complete further theoretical exams, before proceeding to multi-engine instrument rating and type rating courses. Upon completion of all exams, airline pilots will earn a ‘frozen’ license, which requires them to fly 1,500 hours in total before becoming a fully qualified commercial pilot. Today’s simulator training is better than ever, thanks to the ever-advancing technology that drives these training tools. Pilots can now become completely immersed in our motion systems, visual systems and 3D sound systems, allowing them to experience real-life scenarios from the safety of our high specification full-flight simulators. It’s safe to say that airline pilots are tested more than almost any other profession. Every 12 months, pilots are required to pass a medical assessment to prove they are fit to fly. They also have to complete a ‘line check’, where an examiner observes them operating an aircraft to ensure they are compliant with current rules and regulations. And, every six months pilots must practice emergency procedures within a simulator. Additional requirements include aviation security training, winter operations course, dangerous good examination and crew resource management (CRM) training. It is essential for pilots to have simulator training and aircraft training, as some manoeuvres cannot be performed or replicated safely in an aircraft when you are first learning to fly. Some events, such as specific system failures like a fire, can only be taught in a simulator. 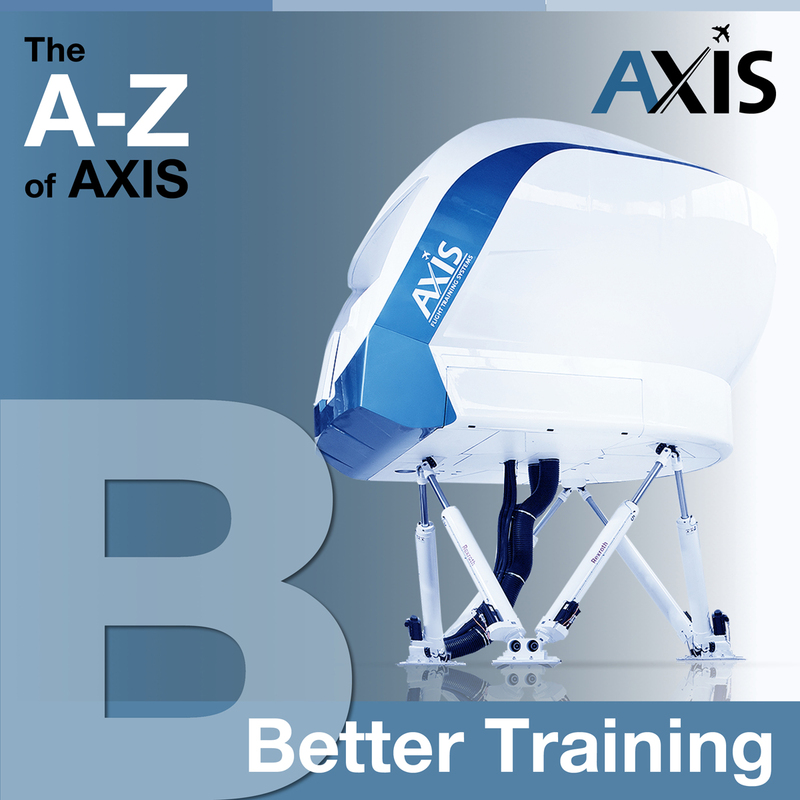 AXIS understands the importance of building and creating simulators that provide pilots with a realistic and reliable experience, which is why we use LINUX-based real time software architecture, in-house developed high speed IO electronics and electro-mechanical control loadings systems, to maximise the potential of this technology – and the pilots it trains.